As I write this 50th post, I have just finished watching episode 1 of the 50th series of Gardener's World, my parents are just about to enter the 50th year of their marriage and I am not yet near 50!! It would have been nice and neat if I was on the 50th book of the year, but that really is pie in the sky! Come on, it's only March! I'm proud of my 9 books so far...my best start to a reading year ever. But I was looking through Litsy, a kind of Instagram for bibliophiles yesterday ( you can follow me there too, under the name karenmartinreads) when someone posted a photo of their 100th read of 2017...already! There is a serious question here and I am going to take my 50th entry to ruminate a little on reading and perhaps even a little on life in general! Are books something that should be consumed and ticked off, or is there more to the whole process of reading? I'm the first to recognise that if a book is read too slowly, even if it has the potential to become a favourite, it is likely to wither and die in your hands. Some momentum is necessary. a chapter a night isn't enough to fully engage with plot and character. But as I was driving along recently, I caught a snippet of a radio 4 programme where an author said that he hated the idea of his readers reading too quickly. He pointed out that a novel took him a year to write and he didn't want it gobbled up in one sitting! 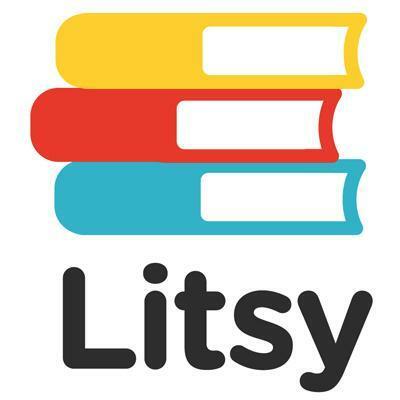 Assessment of your reading enthusiasm should not be defined by the number of books consumed. And it is that word consumed that holds the key. Consumed has connotations of speed without pleasure. Even a chocolate bar, if consumed, goes down barely hitting the sides and we need another one, rather than savouring and enjoying the single treat. Maybe we all just need to slow down. With everything. Look around, breathe, take pleasure in things. Modernity has got a bit lost. We have forgotten to take pleasure. To experience rather than consume. I work part-time in a full-time world and I see the ravages of overwork etched on my colleagues. I like to think that I do my job well, that I care about the students that I teach, but I care as much about their experience of being in my classroom, under my direction, as I do about their end results. I think I have this luxury because I can come up for air. I do have stalwart colleagues though, ones who doggedly make time to read for pleasure amidst the clamour of increased targets in an under-resourced world. And reading does refresh you. It can form escapism, fire new interests and hone empathy. We all need kindness in a consuming world. And so what have we been reading since the last blog? 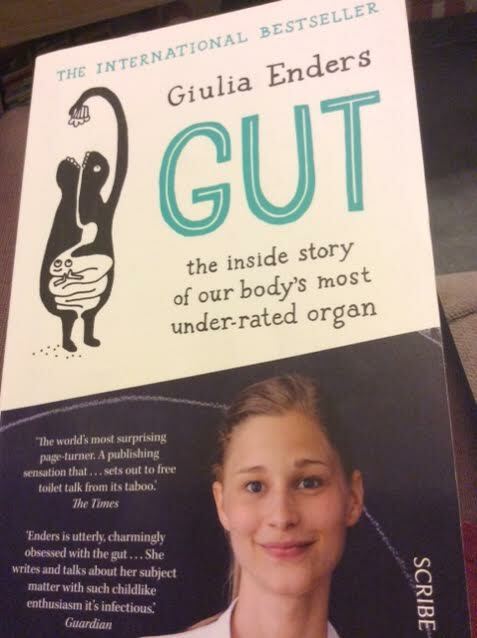 My Head of Department was so evangelical about Guilia Enders' book, Gut, that she had all of us reading the biology of the stomach and wondering about our own eating habits, our toilet habits and the connections between belly and brain. It is very well written, not bogged down with science, but not pop-science only (in my humble, very non-scientific opinion!) I was most fascinated by the connections between our psychology and our gut; this is ground breaking research which is being studied in various facets of medical exploration. Despite the fact that it was a good read, non-fiction is not my first love, so I'll direct you to The Independent Review of the book which discusses the bestselling qualities of a book that breaks the "poo taboo!" More collective reading has been completed for the departmental book club. We have a resident youngster in the department who, I believe, joined the teaching staff in order to make me feel old. I taught him when he was in year 9 and he now has the audacity to be 25 or thereabouts and walks around as a living reminder that I have been in this game too long! He is also our resident DNF in the book club. (Did Not Finish, for those of you unfamiliar with bookish acronyms!) So, we challenged him to choose the next read. He did so with much trepidation, not wanting to foist a title on us that we would loathe....trepidation that was not without grounds! chapter one to whet our appetites. Reading aloud at the end of our last meeting, it was universally acknowledged to be a powerful start to a novel. The protagonist is seeing his dead Grandfather for the first time and the repetition of "That was not sleeping" was more evocative a reaction to death than anything I have ever read. It communicated shock, sadness and natural human objection to the process which robs us of our loved ones. We were all hooked. Now I have to confess that it was downhill from here for me. 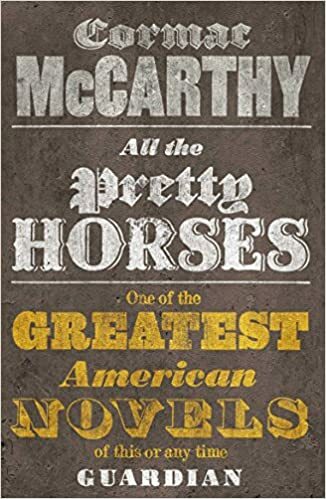 Having tried to read The Road some years ago, I was wary of McCarthy's style. He makes the reader work very hard, refusing, except in rare instances, to include narrative tags to his dialogue, so it is sometimes very difficult to work out who is speaking. He is kind enough to set out his dialogue on separate lines, as per standard grammatical structure but he doesn't deign to use speech marks. This winds me up! I am not a total purist when it comes to Standard English writing; I acknowledge that deviation from the standard can be creative, but this I found totally annoying. I should not be reading a story and be distracted by its graphology. That aside, the novel itself has received high critical acclaim. Time for a link to a positive review for comparison. Do read it...there are no spoilers and it is a beautiful response to an evocative title. But for me, there wasn't enough empathy built with any of the characters. The premise of the novel is based on two young men leaving their home in Texas to go to Mexico. They are on horseback and their love of horses and horsemanship drives their relationship, and indeed much of the plot. They meet up with another traveller on horseback who seeks to fall in with them. John Grady Cole and Lacey Rawlins reluctantly accept this addition to their adventure, and it is Blevins, the new recruit, who causes a series of disasters which form the backbone of the plot. The mastery of description is undisputed. I just thought there was too much of it. Despite my earlier thoughts that a novel needs to be experienced rather than consumed, I found myself the master of skim reading. I was using the Kindle, and was more interested in the hours left to complete than the story itself. I found myself setting consumable goals...can I get reading time down by 30 minutes? So it became a challenge to complete rather than a pleasure to read. But I have completed it. I remain unmoved by the characters and the events. The Aunt at the hacienda seemed to be included only to move the plot forward and enable a potted history of the Mexican revolution. She could have been interesting, but she wasn't. The love affair that Cole experiences is a rite of passage, but despite its profound affects on him, held no heart for me. At the climax of the novel they find themselves in prison and reunited with Blevin. It is dark and corrupt and was the most meaningful part of the tale for me. It was also the most character driven part, with more dialogue to balance the descriptive narrative voice, but I still wasn't moved to care very much about the characters or their fate. Maybe cowboy stories are for boys....(brace myself for gender bias onslaught), maybe I missed something profound. But if you're looking for effective description, profound relationships and exploration of itinerant life in the Americas,then go to Steinbeck's Of Mice and Men. This, despite its bumbled interpretations by generations of O-Level and GCSE students, retains its brilliance. For me, characters have to be convincing and have to be empathised with, otherwise a novel remains flat. So apologies to Tom for my failure to engage with his book club choice, but I would also like to add at this point, that just because a book fails to make your must-read list, there is still no excuse for a DNF! As always, feel free to comment, write and suggest. Thankyou for reading. It is so delightful to hear from my readers, and it is very heartwarming that some of you are using karemartinreads as a place to go to decide what to read next. Reading has heart. It is good for you. Take the time and be refreshed. This is not a guilty pleasure.